Social media has proven itself to be a viable marketing channel for increasing company reach, improving engagement and supporting customers, but many marketers still struggle to know what to post daily without maxing out their in-house resources on content creation. Even for heavy content creators, social engagement isn't a guarantee. Let's check out some social post opportunities for everyone for every day. Look at what's trending Monday on Twitter and you'll likely find #MondayMotivation atop the list. It's a reliable hashtag for brands looking to add to the conversation weekly. 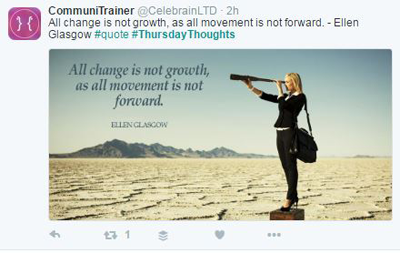 Creating a #MondayMotivation post (a picture, a quote, an article) for Twitter or Instagram that is relevant to a company can increase its following, as these posts are very often retweeted. 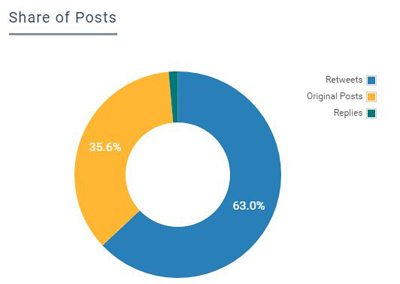 In fact, the majority (63 percent) of #MondayMotivation tweets this week were retweets, not original posts. Retweets can of course extend a brand's message and reach audiences it may not have been able to without paying for the extra exposure. While most social media marketers schedule their posts in advance (for efficiency's sake), there's something to be said of being in the moment with social users. Real-time marketing offers many advantages including a better return on investment (ROI). Social intelligence and marketing software Wayin found that 64 percent of real-time marketers have leveraged breaking news on social media in the past year and that number increases to 78 percent for brands seeing an ROI of at least 50 percent on their real-time marketing investment. Companies will want to consider events (e.g., award shows, sports), trending topics and more to join real-time conversations. It's important to stay on brand, of course, as well as empower a trusted member of the marketing team to make quick judgments. Being timely, however, can also be done through planning ahead. By creating a social media calendar - one that lists all the social media holidays - brands can plan ahead, be timely and reduce the chance of mistakes. 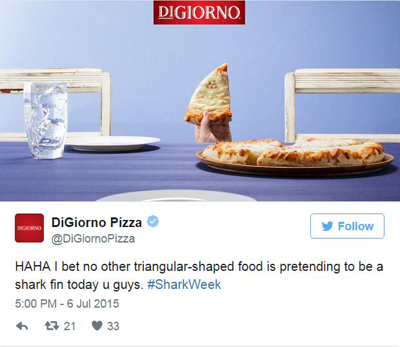 DiGiorno Pizza for instance scheduled posts around Shark Week, which it anticipated would be a trending topic in advance. 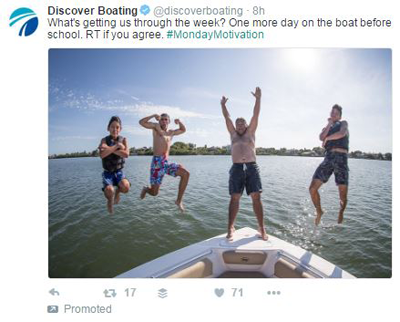 One of the top reasons brands are unfollowed on social media is because they post too many promotional posts. The majority of followers understands the brand-consumer relationship, however, and expect to see some promotions like in the form of sneak peeks, behind-the-scene footage, exclusive discounts, etc. Consider using one day of the week to provide an interesting glimpse at what is your company does. We-do-this Wednesday (or any day) could be a DIY tip in the form of an Instagram Story or a Facebook Live video of how your product is made or who the people are behind the company. 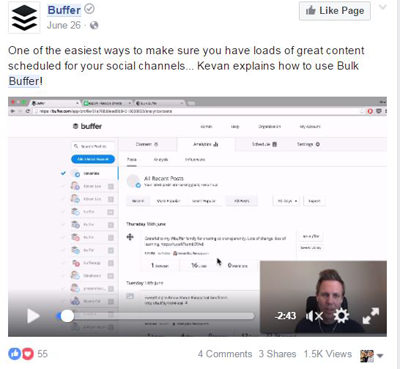 Buffer, for example, does deeper product dives occasionally on its Facebook page. Mid-week is the perfect time to share some thoughts, and brands that curate relevant, high-quality content are pretty thoughtful in their approach. Not only does content curation (when marketers select and post third-party articles, infographics, graphs, stats, quotes, videos) help marketers deliver valuable information, but also saves them time. Brands will want to save their top sources either by bookmarking their pages and visiting them often, creating an RSS feed or using a save-for-later tool like Evernote. Sometimes marketers looking to see which hashtags or strategies to use don't need to look further than what top brands are doing. Companies that are household names have plenty of resources at their disposal (talent, time, money), so examining what they are doing could help inspire your posts. Starbucks, for instance, not only boasts the second-most followers of any Fortune 500 brand (second to Nike) on Instagram, but also the highest "engagement ratio," according to TrackMaven. The marketing analytics software company describes this metric as its "favorite" for comparing content performance by looking at the average number of interactions per post per 1,000 followers, which normalizes for differences in audience size and posting frequency. All that said, marketers can do what Starbucks does often, which is repost followers' images and use the hashtags followers used within their posts. While the hashtags in use may not be what a brand would typically choose (they may not be top picks in an analytics platform or currently trending), but brands should remind themselves that their followers typically know best and should dedicate at least one day to repurposing user content and leveraging their captions, hashtags and images. 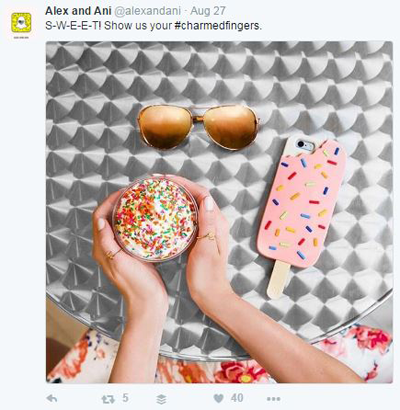 Think your brand doesn't have enough user-generated content to post? Ask for testimonials, encourage customers to use your branded hashtag (like in the example below), invest in premium packaging for products, run a contest - all ways to encourage more inbound UGC. When the majority of brands check out over the weekends, brands will want to check in. TrackMaven reports that there is less Instagram posts from Fortune 500 on the weekend and greater competition on the weekdays. While Instagram requires the manually scheduling of posts, brands can spend more time on Fridays scheduling out posts on Facebook, Twitter, LinkedIn and Google+ so that weekend engagement doesn't slip. What's more, marketers should consider gathering materials (copy/images) for weekend Instagram posts and setting a reminder in Sprout Social, for instance, to schedule the post on the weekend. Brands will want to remember that weekend posts will likely resonate better if they are lighter in nature (content and length). #MealPrepSunday is a popular hashtag on Instagram and Twitter for a reason. Working professionals tend to spend their Sundays prepping for the week ahead (e.g., packing lunches, doing laundry, reviewing their upcoming schedules, etc. ), and marketers would be wise to capitalize on these behaviors by helping their followers set up their week for success. Whether it's an inspirational quote, tips for a more productive week, organizational advice, outfit ideas or life hacks in general, brands should share content on Sundays that helps followers prep for the school/workweek. 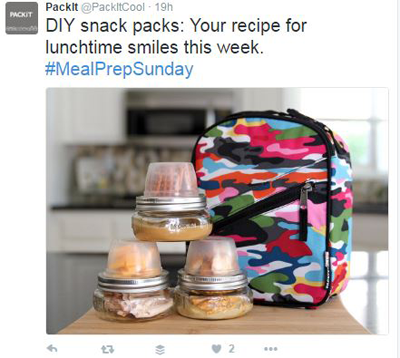 PackIt, for instance, leverages #MealPrepSunday with a DIY idea to store snacks (like pretzels and hummus) in a mason jar and a reusable container (like a fruit cup) and then store it in their coolers for school or work. The tweet is on-brand and on-trend. It's important brands keep a consistent posting schedule on social media, but curating and creating posts daily can be time consuming. 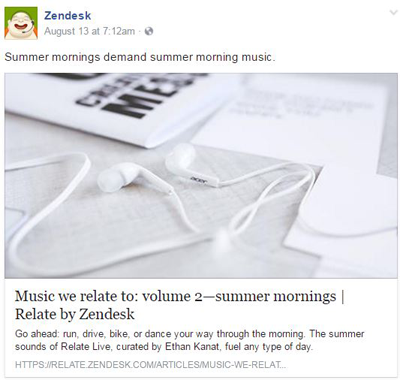 By building a rough social calendar and having go-to sources for inspiration and content, however, companies will be able to keep up better with daily posting.